This Is Serious Proposition. You're Going To Invest In Your Own Life! To take it or leave it! Probably you can't waste a moment. So much for you is up on the stake. This moment, as you read this message and there's a deep craving in your heart to see if good luck could come your way, you have to make this once-in-a-lifetime kind of decision and set the ball on the roll. You should not set aside your fever of desire, just because you have some money to spend here - that is our best suggestion. 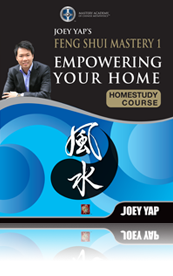 Feng Shui: Empowering Your Home.